Feel free to use these maps of our region extending from Cairns north to Port Douglas, Daintree, Cape Tribulation and west to the Atherton Tablelands. You can use the interactive map of the area to Zoom, Pan, change view type – it also has real satellite imaging as well as standard line map display options. 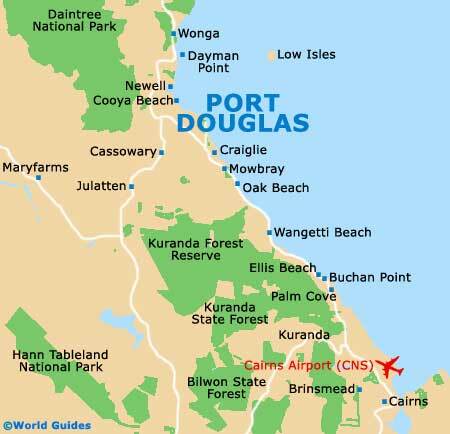 Getting to and around the region is pretty easy, and Port Douglas itself is not too big. A large printable map can be viewed by clicking on the map at the bottom, which will open in a new window with a larger version. Simply click and then in your browser click File and Print.